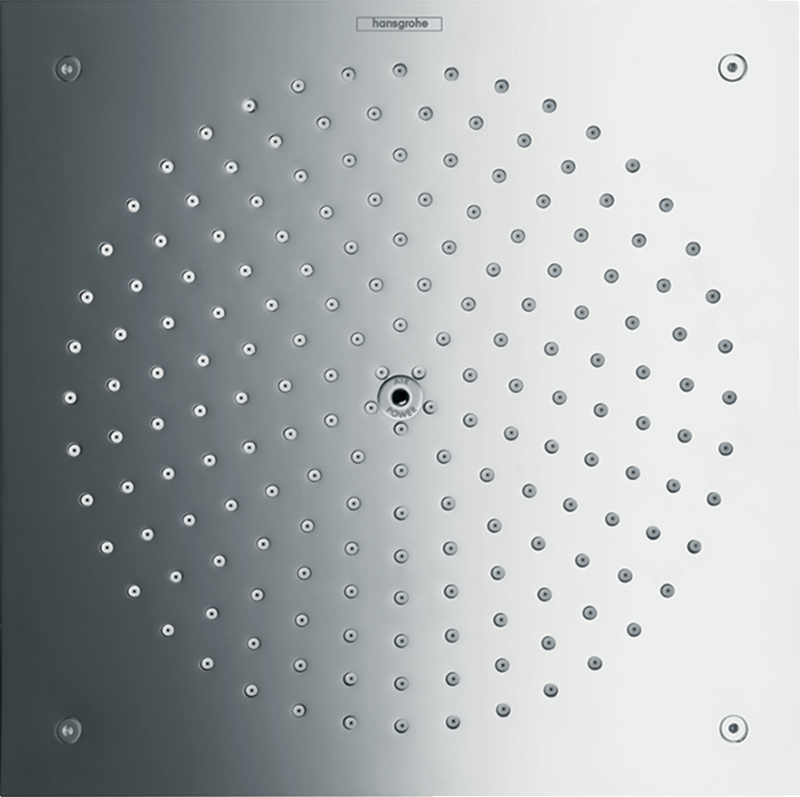 The rectangular Raindance overhead shower 260/260 1jet EcoSmart with fully chrome-plated metal spray disc embodies showering indulgence on a grand scale. 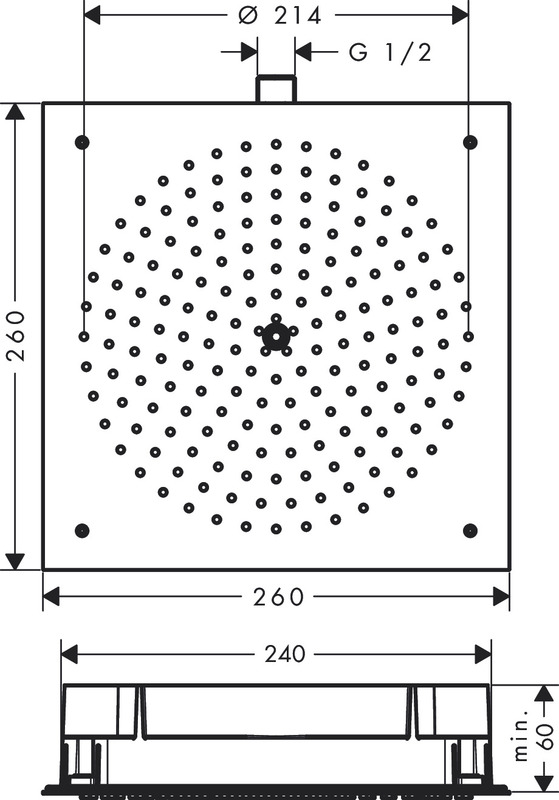 Measuring 260 x 260 mm, it makes for an impressively large shower area. Its minimalist, elegant design and the high-quality metal surfaces visibly enhance the bathroom setting. 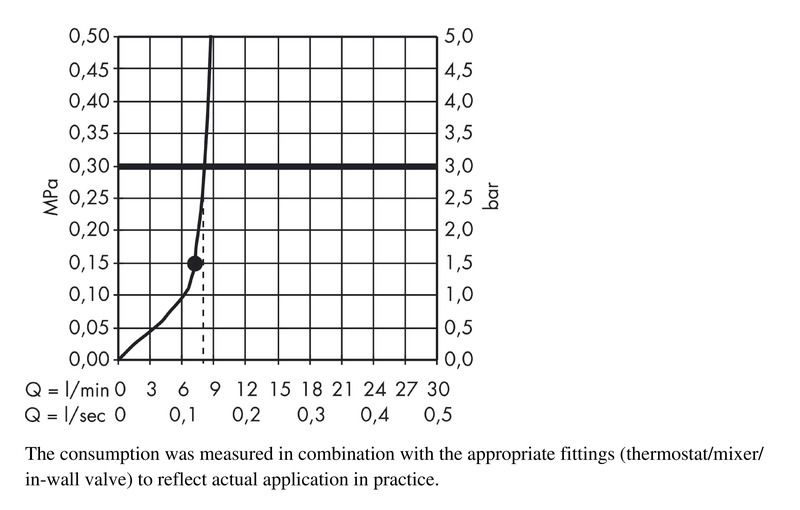 Inside the overhead shower, a water flow controller limits the flow rate (at 3 bar) to 9 l/min. This saves water, reduces costs and eases the impact on the environment (EcoSmart). The powerful feel of the shower is maintained nevertheless. On the RainAir jet, the water flowing out is enriched with air (AirPower) - making it plumper and softer, like soft shower rain on your skin. Simple droplets of water become a tonic for the soul.